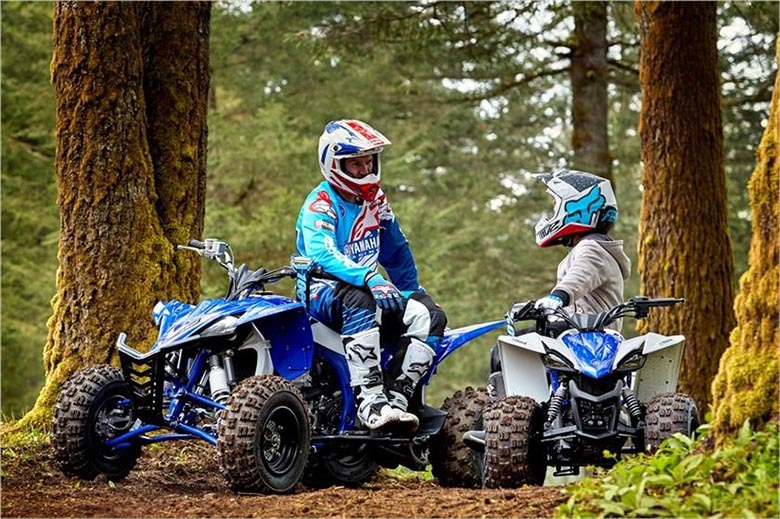 The all-new 2018 YFZ50 Yamaha Sports Quad Bike is another incredible Sports ATV recently launched by Yamaha brand. This quad bike features fully electric start with an automatic transmission and parental controls. This quad bike provides an ultimate sports riding experience to the riders of 6-years old. 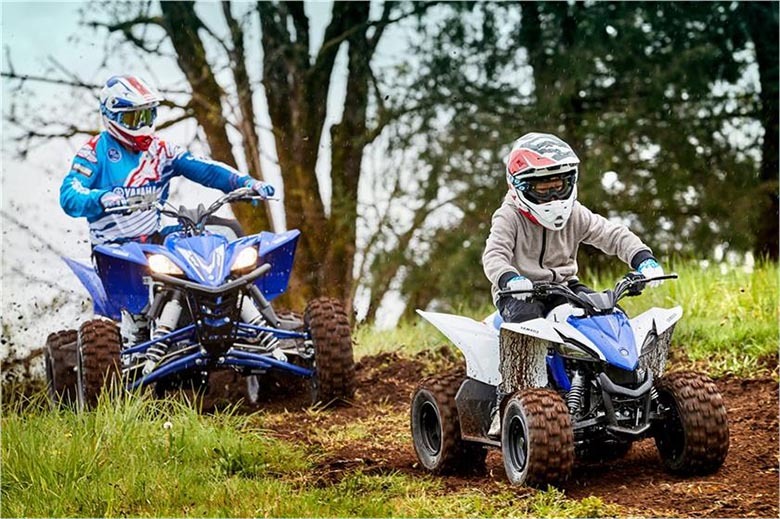 Those parents who were looking for an amazing sports quad bike for their children, the new 2018 YFZ50 Yamaha Sports Quad Bike is the best option for them. It’s incredible design and color combination makes it look similar to the bigger sports quad bike. Since it is from one of the Best Quad Bike Brand so it features the quality components with amazing features. The review of new 2018 YFZ50 Yamaha Sports Quad Bike with its price and specifications are written below. The all-new features the powerful four-stroke 49cc SOHC engine, which is specially tuned to develop excellent low-to-mid range performance. Its motor is air-cooled for simplicity, best performance, and longer engine life. It comes with an ultra-reliable wet-sump lubrication for best performance in all conditions. This Yamaha ATV features the two-stage RPM limiter as well as the throttle limiter to restrict the performance of engine according to skill level. The new tethered switch allows the rider to closely monitor the young riders and cut power to the engine for new riders. The all-new push-button electric starting comes as standard and it is powered by the reliable sealed battery while the kick starter is also provided for additional peace of mind. There is fully automatic Continuously Variable Transmission (CVT) which simply means young riders don’t have to shift gears. They only focus on handling and stability of new 2018 YFZ50 Yamaha Sports Quad Bike. The power of an engine is delivered to the rear wheel with the help of strong O-ring chain drive. It is running along the swingarm with an optimized angle for rear shock performance. The servicing is very easy and one can easily access the air filter without any need of the tool. The new exhaust includes the standard spark arrester. 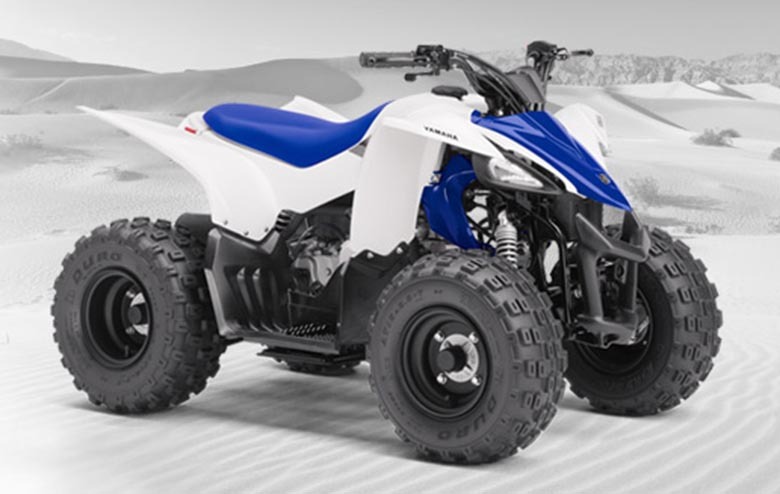 The newly launched 2018 YFZ50 Yamaha Sports Quad Bike features the single I-arm front suspension, which is being tuned for light and easy steering for a comfortable quality ride. The rear swingarm features the compact single shock rear suspension for better control and comfort. The overall style provides an amazing look like the older 2017 Yamaha YFZ50 Sports Quad. This quad bike is designed for comfort and accessibility for the new rider. It has ergonomics bodywork with plush seat and wide floorboards. 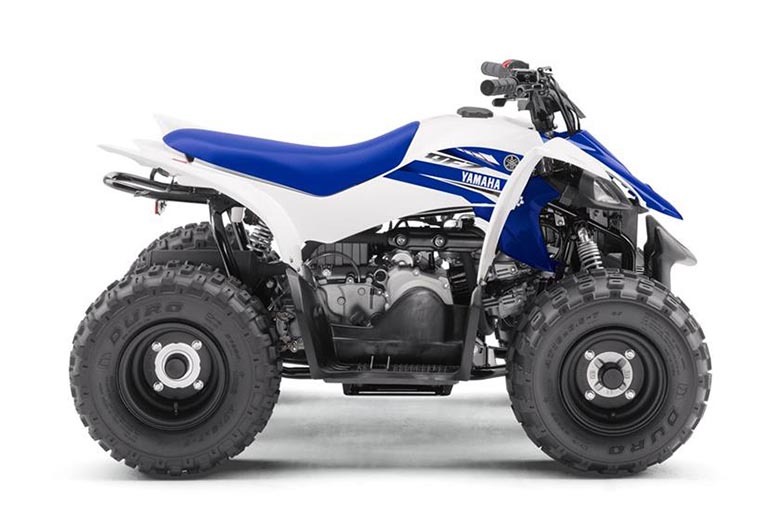 The use of new Duro low-profile tires of AT16x6.5-7 at the front while AT16x7-7 at the rear gives the new 2018 YFZ50 Yamaha Sports Quad Bike an aggressive look and sporty handling. There are three sealed drum brakes ensuring the best stopping force while the handlebar-mounted parking brake comes as standard. 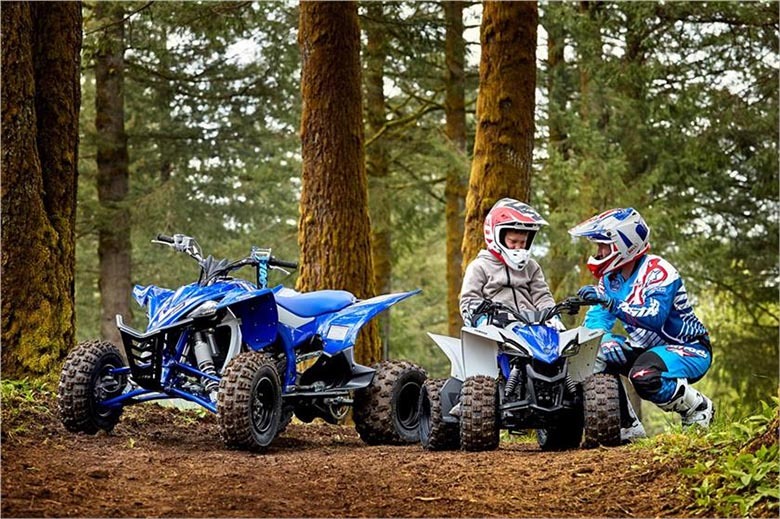 This new 2018 YFZ50 Yamaha Sports Quad Bike comes with the number of incredible features making is an ideal ATV for kids. It’s new CDI system ensures the reliable ignition performance with the strong and efficient spark and sealed. The new maintenance-free battery provides the worry-free service. This quad bike gives the same sporty looks at the other members of YFZ family. The all-new 2018 YFZ50 Yamaha Sports Quad Bike is available with the price of $2,099. It comes in Team Yamaha Blue/White color and is available from July 2017. This article is about the review of newly launched 2018 YFZ50 Yamaha Sports Quad Bike and is covered under the www.bikescatalog.com. This quad bike is an ideal for kids who are looking for the quad bike for learning. The color combination makes it amazing while the seat and handlebars are carefully mounted for young riders. The engine power limiter switch allows the rider to limit the power delivery according to the skill level of rider. In short, the new 2018 YFZ50 Yamaha Sports Quad Bike is an ideal choice for young riders who are looking for the quad bike with sportive performance and authentic look.